Andrew Bailey states UK regulator is well-positioned to handle Brexit outcome, but cross-authority coordination is vital to minimise disruption to the industry. During a speech at London’s Mansion House for the Lord Mayor’s City Banquet, Andrew Bailey asserted that the FCA is preparing for all possible outcomes of the UK’s departure from the European Union, including an extended transition period, waving away concerns that the authority lacks the resources to handle the possible outcome. 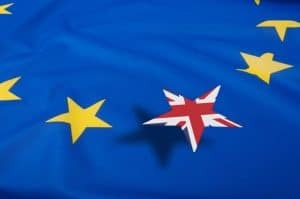 With the current negotiation deadline for the UK’s departure set for 29 March next year, financial industry institutions are now acting on their Brexit contingency plans as clarity from the UK government has yet to appear. A number of buy- and sell-side organisations have already confirmed their plans to relocate their operations away from London post-Brexit. Citigroup, Nomura, Deutsche Bank, Morgan Stanley and UBS are among those to have to picked Frankfurt as their location of choice, with banks seemingly more vocal on their intentions than their counterparts. Dublin has also won the affections of other major institutions, such as Bank of America Merrill Lynch and Barclays, with the city’s proximity to London, low tax rates and regulatory framework proving favourable to many. Bailey highlighted the critical role of “technical, regulator-to-regulator” co-ordination between the FCA and its European counterparts in the lead-up to Brexit, in order to minimise disruption in a no-deal scenario. “We urgently need the engagement of our EU counterparts so that we can put in place Memorandums of Understanding (MoUs) and other important practical arrangements,” he said. “This is not just a self-serving UK point; it applies to both sides. MoUs will support cross border supervision of firms and data sharing will support our ability to jointly oversee markets. The FCA is a significant sharer of cross border data. We pass on around 70% of the transaction reports we receive to our counterparts across the EU, and we are committed to continue this if it is possible. We will also need close coordination on MiFID transparency thresholds if the EU version of MiFID is no longer based on UK data. However, Bailey did say he was encouraged by the “recent commitment” from European Securities and Markets Authority chairman, Steven Maijoor, to begin work on MoUs and that they “should be put in place arrangements to avoid disruption to clearing”.